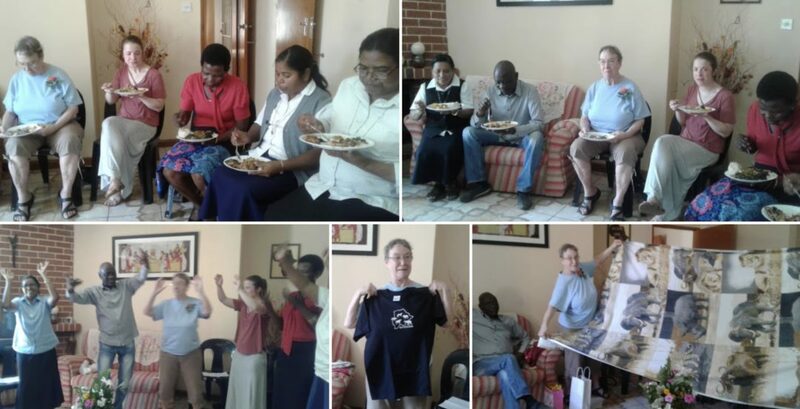 Sisters and Associates in Botswana gathered to celebrate SCNA Virginia “Tootsie” Gish’s birthday on Saturday. Tootsie is in Botswana currently for a short visit. She lived in Botswana previously. 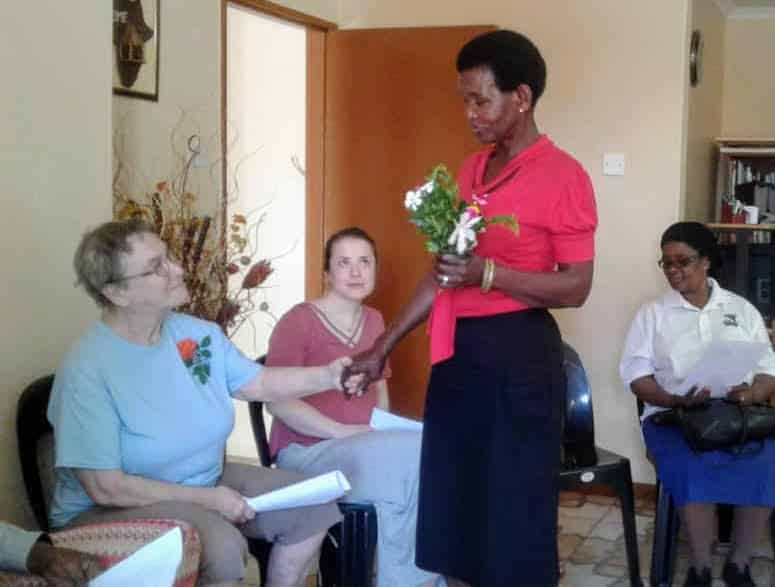 A visit back to Botswana is a treat Tootsie gave to herself on her 75th birthday. At a beautiful prayer service, the SCNAs blessed Tootsie as they gave her a bouquet of flowers. They also gifted her with birthday presents. They shared a delicious potluck meal with Botswana, Indian, and US flavors. The climax of the gathering was the connections with the SCNAs who are on the SCNA weekend at Camp Maria via Zoom. It was a very overwhelming experience for Tootsie. So good to see your smiling face. I am happy for you! Miss you. Happy birthday, Ms. Gish! What an amazing way to celebrate! Happy Birthday Tootsie! (a little late) – Am sending this to Thom so he can see the teacher he liked so much! Belated Happy birthday, dear Tootsie! Tootsie, you sure know how to celebrate…in a place you love with those you love!! Hello to all there! Katie is hopefully having a good experience. Looks like you enjoyed every minute of your special day.